Found one file extension association related to DVR-Studio HD and 1 file format developed specifically for use with DVR-Studio HD. 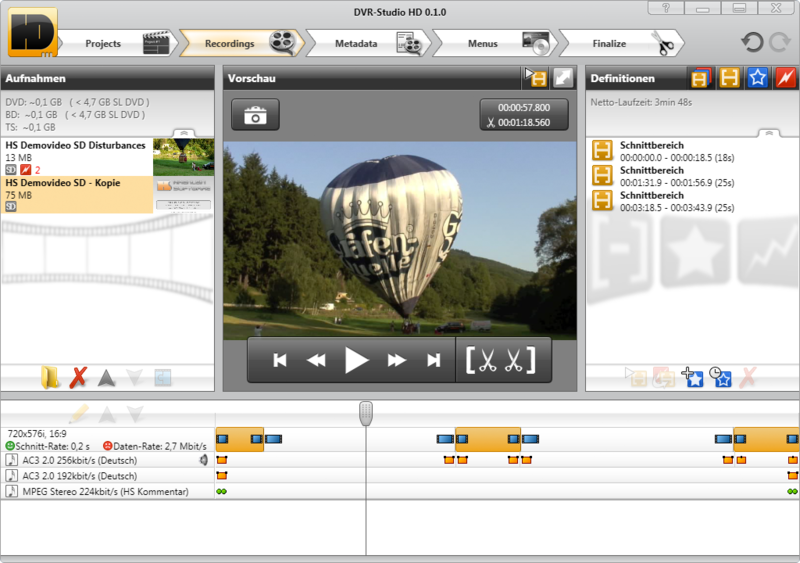 With DVR-Studio HD you can play and load recordings from various devices like STBs, cameras etc. on your PC and remove advertising etc. For some devices you can export files in device specific format to save it into the STB to directly play it there. Furthermore export in TS or M2TS format to play or stream to Sony Playstation 3 or on your PC. Editing is performed without quality loss, like in all our products. If you need more information please contact the developers of DVR-Studio HD (Haenlein-Software), or check out their product website.